The Portuguese Couvert: Rip off or Fantastic Value for Money? 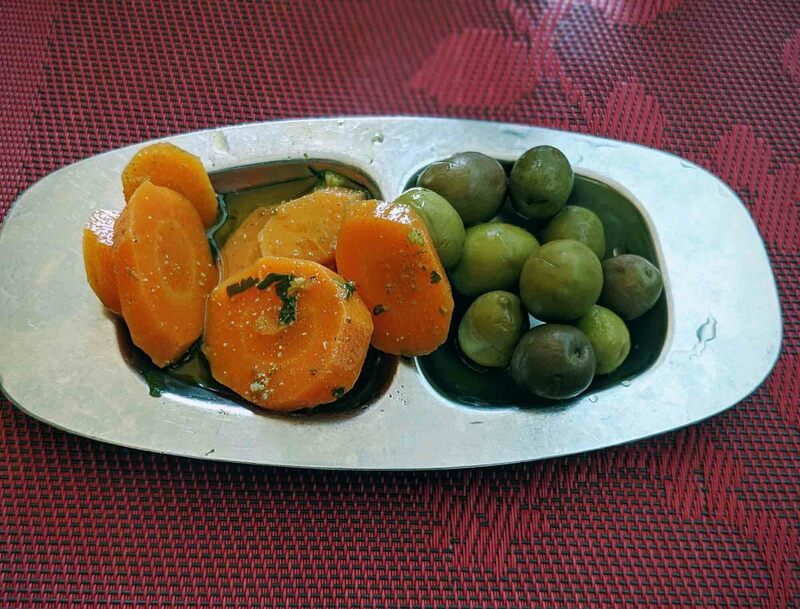 Sit down at a restaurant in Portugal and within a few minutes the waiter will normally bring over bread, olives, tuna or sardine paste, and maybe even some small cheeses, Algarve carrots (in the Algarve), and croquettes like pasteis de bacalhau as well. This is known as the couvert, and it’s something that causes a lot of confusion and even anger among people visiting Portugal for the first time. There’s no such thing as a free lunch, but many people visiting Portugal assume the couvert will be free. It’s not, and people often get very upset when they get charged for it, but that doesn’t mean it’s a scam. This TripAdvisor user believes the couvert is a scam. What do you think? The couvert is actually a perfectly normal part of Portuguese dining culture. It’s also fairly inexpensive, particularly when compared to ordering starters, and means that everyone has something to eat while their main courses are being cooked. How much does the couvert cost? A couvert containing bread, butter, and sardine paste, for example, will probably come to less than €5 and that’s for everyone at the table. 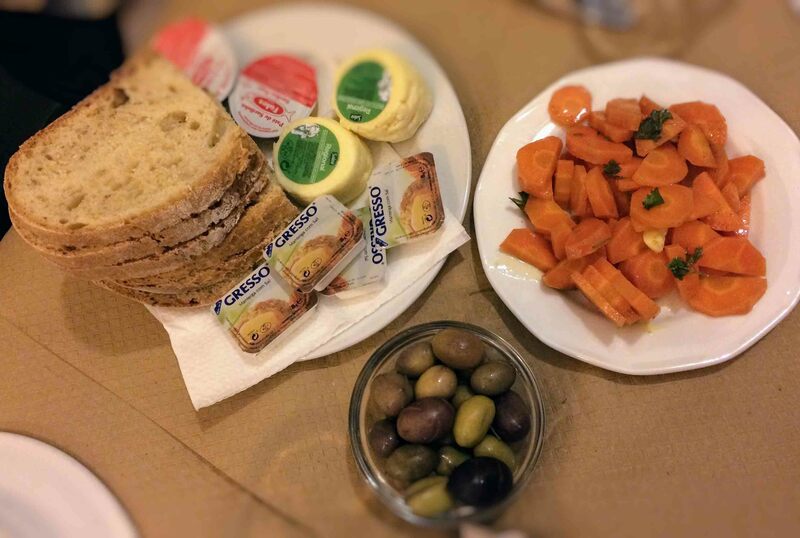 Even if it includes more expensive items like meat and cheese, it should still come to less than €10 – much cheaper than everyone at the table ordering a starter. Note: this is for a normal traditional Portuguese restaurant and prices may be higher in higher end restaurants. Not sure how much the couvert is likely to cost? Have a look in the menu. Everything will be listed, normally individually although occasionally the couvert has a per person price. As mentioned, basic items like bread and butter are normally inexpensive but it’s also worth checking just to be sure. It’s also worth paying attention to the more expensive items, and deciding whether you want to say no to anything. Generally, the couvert won’t break the bank but it’s a good habit to check the prices before accepting it especially if you haven’t been to that restaurant before. Most Portuguese restaurants are honest but some places, particularly in touristy areas, will charge more than what’s reasonable for items on the couvert. Legally, you should have been asked whether or not you want the couvert before it’s placed on the table. This doesn’t always happen but, if you don’t want it, all you have to do is say no. While giving you the couvert without asking is illegal, there are even worse consequences for forcing it on you and no restaurant is likely to try this. You can also turn down specific items. Meats and cheeses, particularly plates of meats and cheeses, can add up so it’s worth checking the price and deciding whether or not you want them. As well as cost, some people will refuse the couvert because eating white bread and butter isn’t particularly healthy. If you’re on a diet, or just being sensible, don’t feel like you have to eat the couvert. Supposed to be asked whether or not you actually want the couvert. Allowed to refuse the couvert or specific items. Supposed to be able to see how much every item will cost (or how much the couvert will cost per person or in total). If you feel you have been overcharged in any way, the best option is to speak to the waiter first. Most will be very apologetic, and may even just remove the cost of the couvert from the total without you having to complain any further. As a customer, your next two choices are to either refuse to pay the couvert (but pay everything else) or to put an official complaint in the complaints book (livro de reclamações). Every business has a complaints book, which is a legal requirement in Portugal. The paperwork involved in processing a complaint is quite a big headache for most businesses, and so almost all of them will be likely to do anything to avoid you writing in the complaints book. Generally speaking, though, the couvert is not a scam. In fact, it’s actually pretty good value for money. What do you think about the Portuguese practice of the couvert? Is it a good thing or a bad thing? Share your thoughts or ask a question below.